I’ve been having a bit of a bake-fest lately. The Jubilee has been inspiring me in lots of ways – sewing, baking, and even a letter to the Queen! 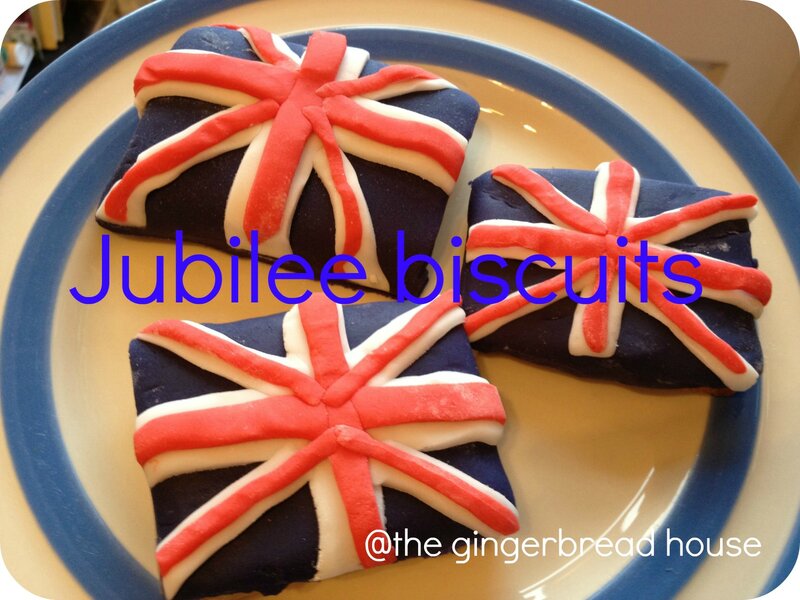 Our holiday coincides with the Jubilee weekend so I’ve been making some treats we can all enjoy to get us in the mood. I thought some patriotic biscuits would be nice so made biscuits using the easiest biscuit recipe from my new Biscuiteers book. The biscuits are lovely with just the right crunchy texture and taste. I made a mixture of shapes, some crowns, flags and hearts. I decorated them using Renshaw’s Limited Edition Great British Icing Pack which contains icing in royal red, blue and white. I’ve used Renshaw’s icing packs before and they are easy to roll and use and taste good, not too sweet. 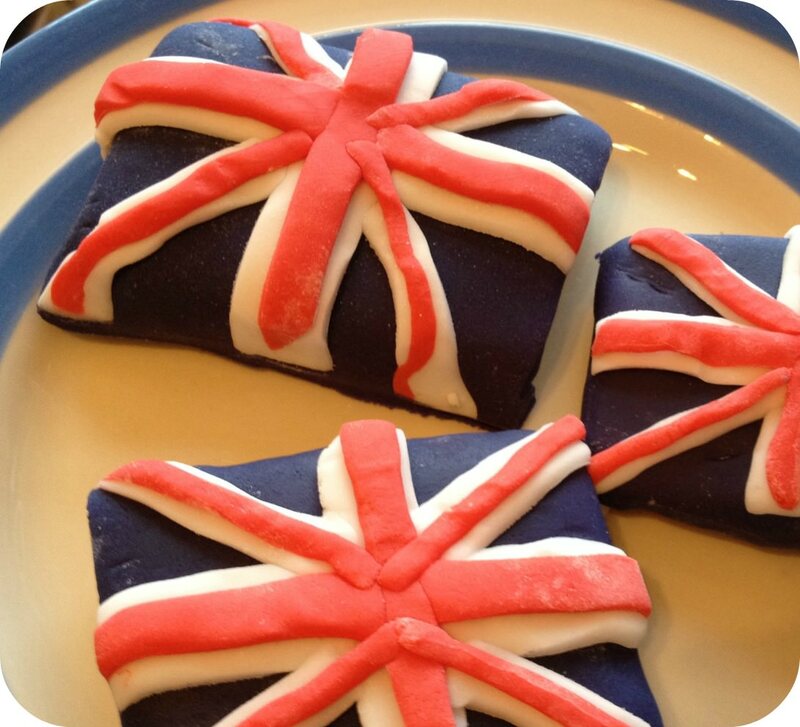 I tried making union jacks on my biscuits which was tricky with my fat fingers but I love the overall effect. 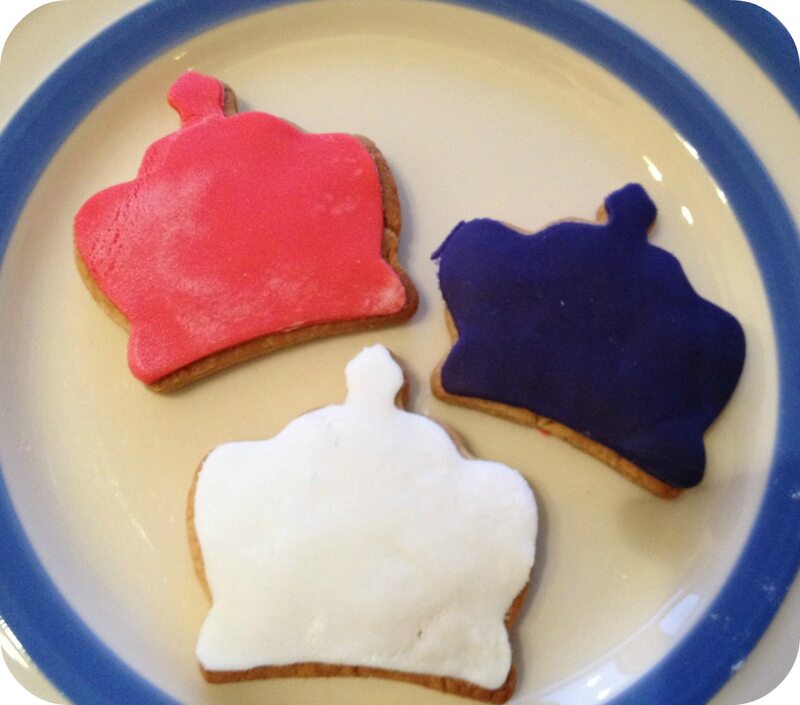 Then I made simpler red, white and blue biscuits on my crowns and hearts. I also made a battenberg which I was going to cover with an iced Union Jack finish but chickened out – making the batternberg had been time consuming enough! Renshaw’s Great British Icing Pack is available now from Asda, Morrisons, Lakeland and Hobbycraft priced at £2.99 (includes 4 x 200g packs – one red, one white and two blue). We were sent a free sample for the purpose of review. Thanks! Glad I photographed them before the toddler took them off to his water table to play with!